Spot Color is available for $15 per color (available on back and center spread). Full color costs an additional $40 (available on back and center spread). Subtract 10% for advertising in 3 or more issues. 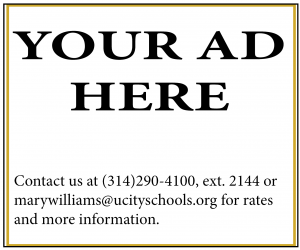 SPECIAL: We have online advertisements available on utimesonline.com for an additional $30. Offer is only available with the purchase of a newspaper ad. Space is limited. Dimensions are 3.875” w x 3.4375” h.